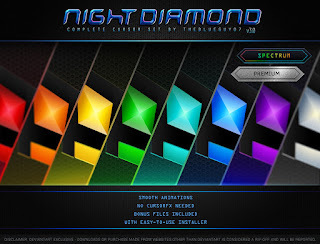 Night Diamond v.3 is already a legendary cursor, and this is his new updated version from the author. Its quality at the highest level with excellent animation, choice of cursors by color, too, should be noted, because the choice here is very rich, the set includes 8 colors of the cursor. There is a folder called Bonus where you can find additional cursors that you can individually individually set to your preference.